How important it is to set up an outstanding environment to sell your digital products like e-book and software? I will say there are many online stores running, selling the e-products and doing the same business. But to stand out among the crowd, you have to focus on creating a website that grabs visitor’s attention. After landing on your e-store, a visitor can access the product detail without any break and can see the product’s description clearly. SaleJunction, an e-commerce theme, will give you an perfect environment to sell your digital products. 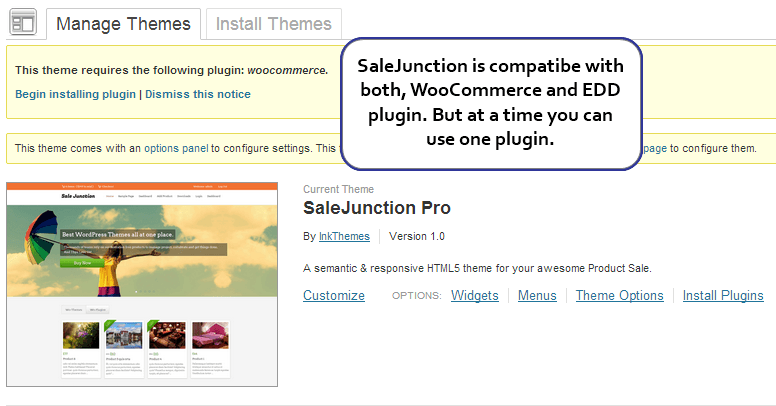 It is well compatible with Easy Digital Downloads plugin and WooCommerce plugin. 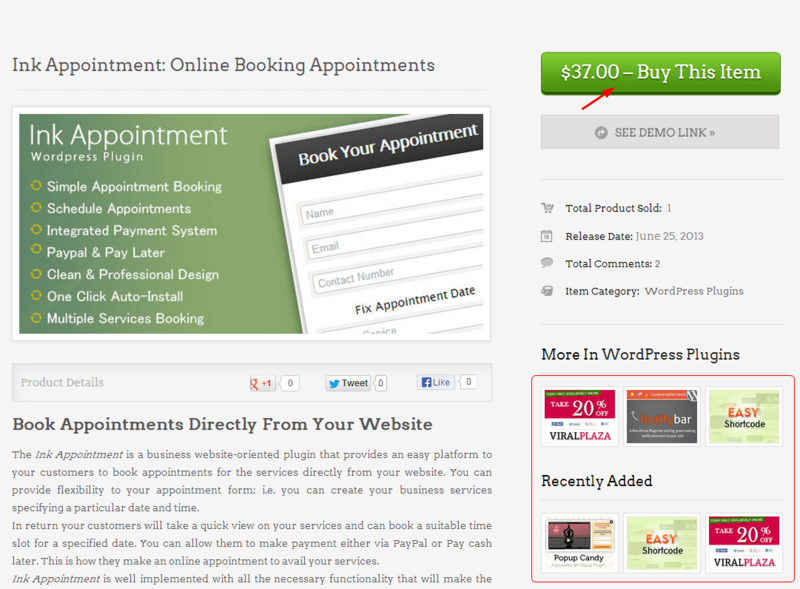 With the help of EDD plugin you can display multiple products on the home page very cleanly and effectively. User can go through all the products, select the one they like, go through the checkout process easily and then can download the product once the payment process gets completed. On the home page, you can display fullwidth moving slider up to 5. Below it, all the e-products feature images will be displayed. When user click on the particular feature image, he will land on that product page where he can see the product description clearly. Once the user click on the buy product call to action, he will be redirected to the cart page where he can see multiple products, which he chooses to buy. In fact, at the last moment, he can cancel any of the product just by removing it from the cart. Once the users enters their details, and then they click on Purchase button, they will be redirected to the PayPal site. 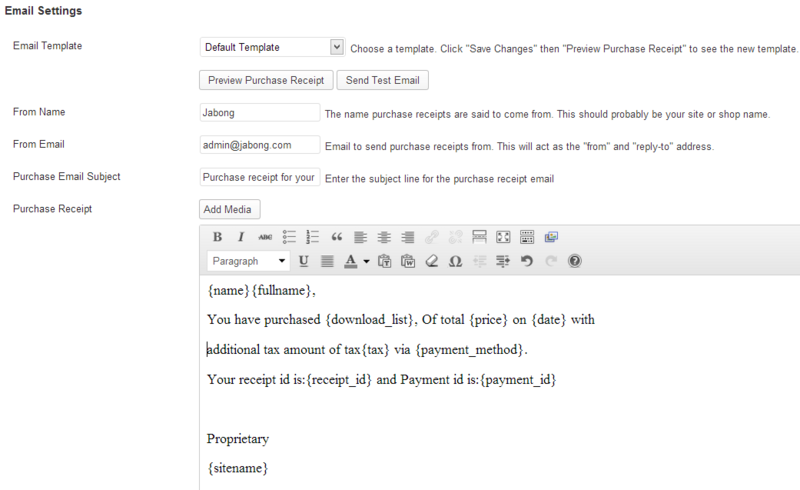 As the user pays the amount, the selected e-product file will automatically send to their mail account. 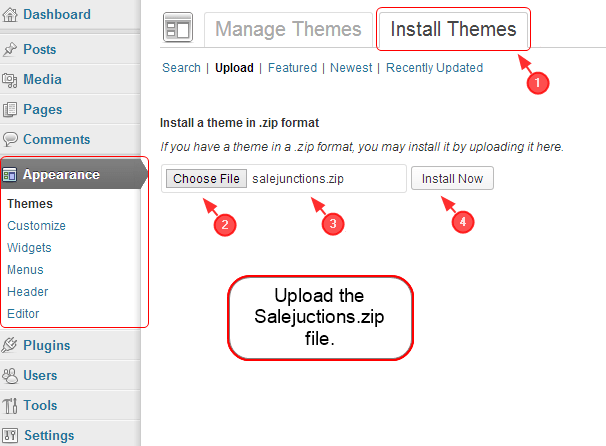 How To Install The SaleJunction Theme? 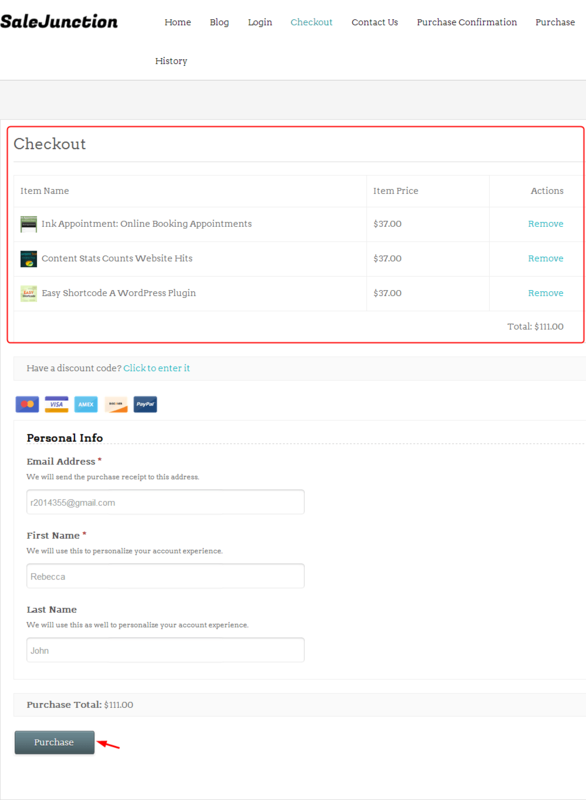 Once you install the plugin, there will be a notification that will ask to install the WooCommerce plugin, since you have to work with EDD, neglect this option. How To Install The EDD Plugin? Upload the zip file of the plugin. 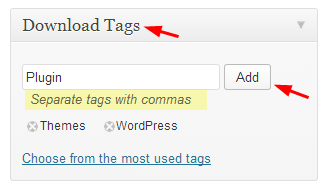 Activate the plugin, you will get Downloads icon under the dashboard. How To Add Digital Products On Home Page? In order to add digital product on home page follow these steps. But before adding the product it is must to create the product category. 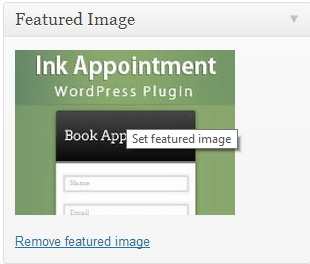 Otherwise, feature images will not appear on the home page. 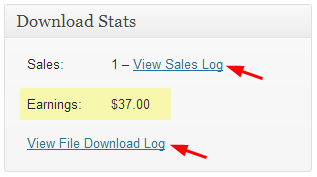 Click on the Add New option aligned under the Downloads icon. Mention the title of the product. Add its description, insert images. Insert URL of slide images of the product. 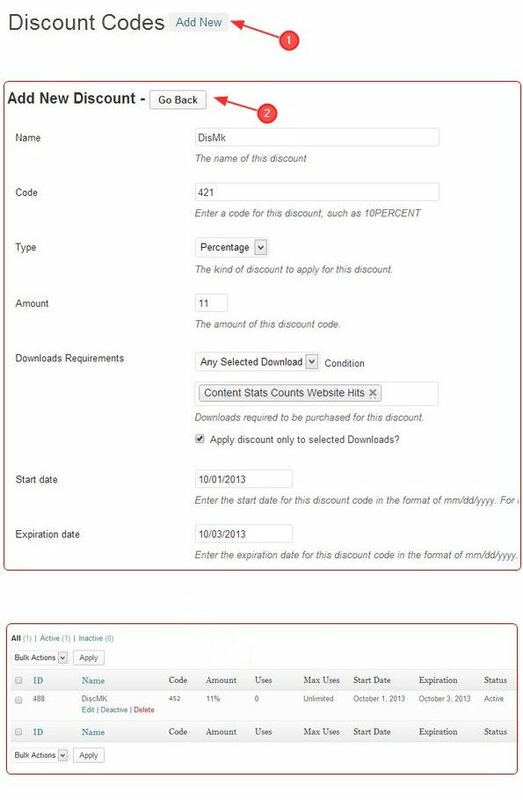 Set the price of the product on Download configuration. Insert the file name and file URL. Set the product feature image. Set the product category. It is necessary to define product category, without it product is not going to display on the home page. Save all the changes and click on Publish button. How To Create Products Category? It is very simple to make categories. 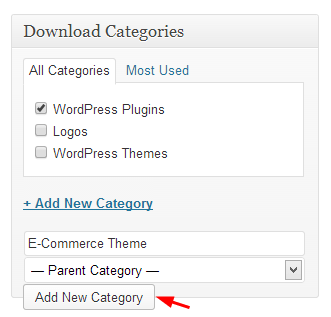 Go to Download categories meta box,, situated below Publish button. Write the name of the category and then click on Add New Category button. 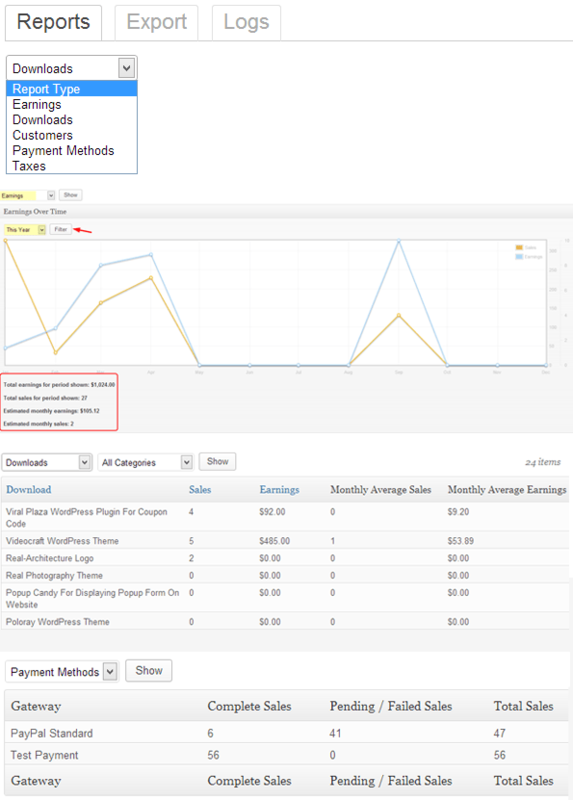 It will give you the stats related to the total number of sales and total earnings of all products. 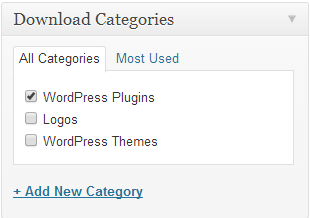 The Download Stats meta box is situated on every product page on the admin’s WordPress dashboard. See on the top right region. On View Sales Log, you can see the sales record of that particular product which includes user name, date of payment, amount, payment id. Here you can see payment record of all the products at a glance as well as payment status i.e. complete/pending mode. You can give discount codes for different products. It’s a very important feature of the plugin. Here you can see a graphical representation of yearly/monthly/quarterly/weekly sales. 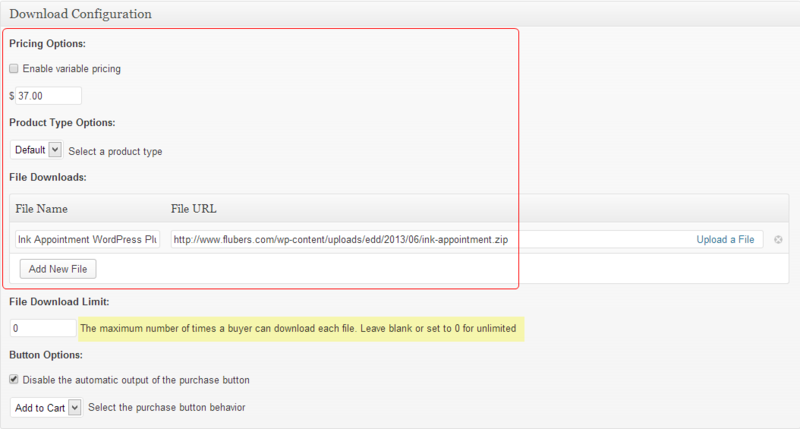 In logs you can see complete download details of all the products. Here is an data export options through CSV and PDF. In Settings you can set currency in different domains, it gives up to 30 options of various currencies. Once the user makes the payment, they can download the product file, the receipt for the payment is received on their email account. You have to format the text for the receipt. 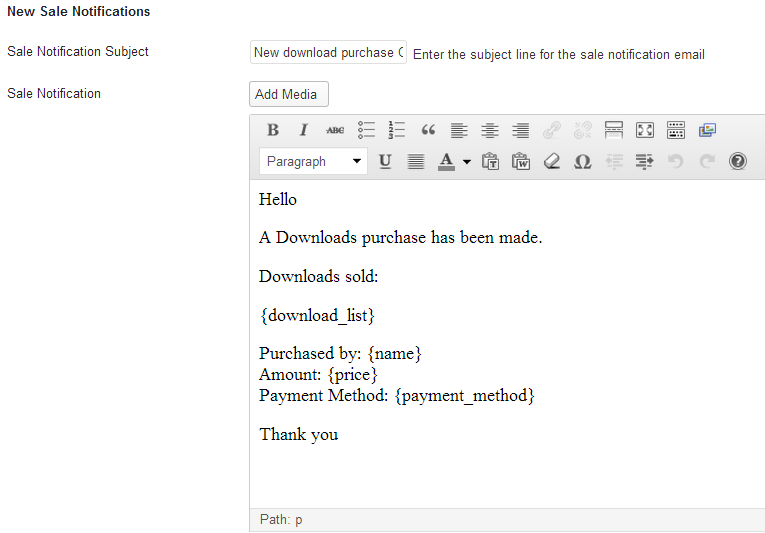 Once the sale is made, a notification is sent to the admin’s id. You can set this admin’s id in the Emails page located on Settings option. You can frame the Sale Notification text. This notification will sent to the user too, as soon as they complete the payment process. Clubbing EDD with SaleJunction will enable you to set an intuitive environment to sell your e-products. It will cost you a peanut price to set up a high rising business for a lifetime. It’s not a false claim neither a hype but only a little contribution to give you a direction for a business growth.